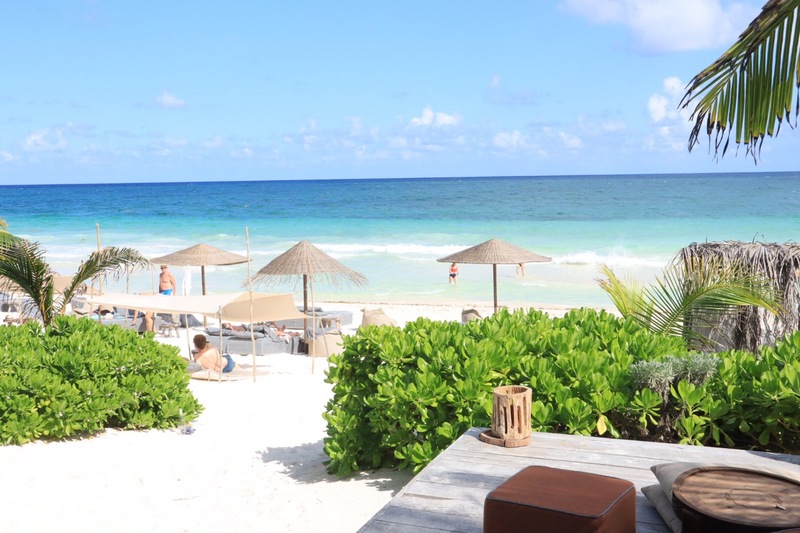 For a nice lunch at the beach, check out the chic boutique Nomade Hotel. 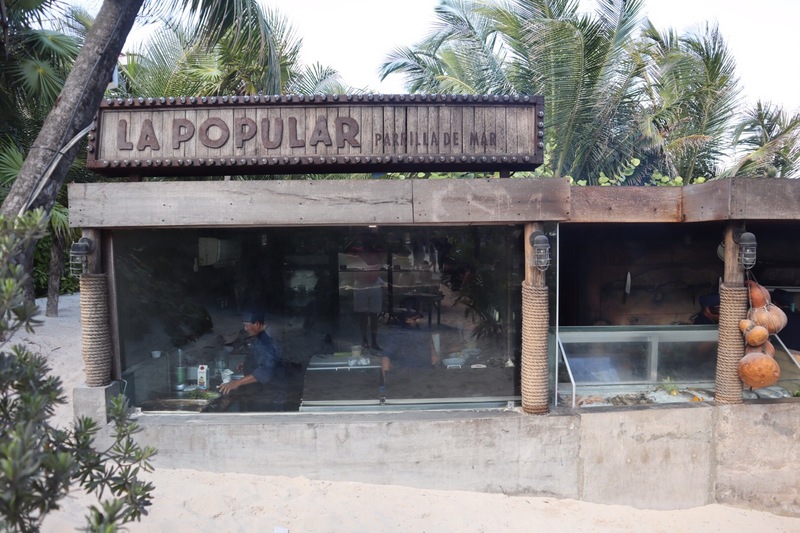 Once inside the grounds, you will find a beachside eatery: La Popular: Parilla De Mar. You don’t really walk into a room, rather you come across an area, a swatch of beachside real estate with an unobstructed view of turquoise blue Mexican Caribbean water. About 70 clients can sip on martinis and margaritas or gnosh on tacos, fajitas or grilled fresh fish while seated on cushions surrounding rectangular, communal tables made of driftwood. ​If you have problems crouching down, you may opt for one of the 10 actual tables for two or four diners with real chairs! Underneath the tables, Oriental rugs are strategically placed in a somewhat futile effort to prevent sand from flying into your margarita. It works, sort of. Overhead, nine triangular panels, secured to surrounding palm trees, provide a bit of shade. Waiters dressed in chic, beige linen tunics with matching drapey pants and aprons serve carefree diners soup, ceviche, octopus or the catch of the day. 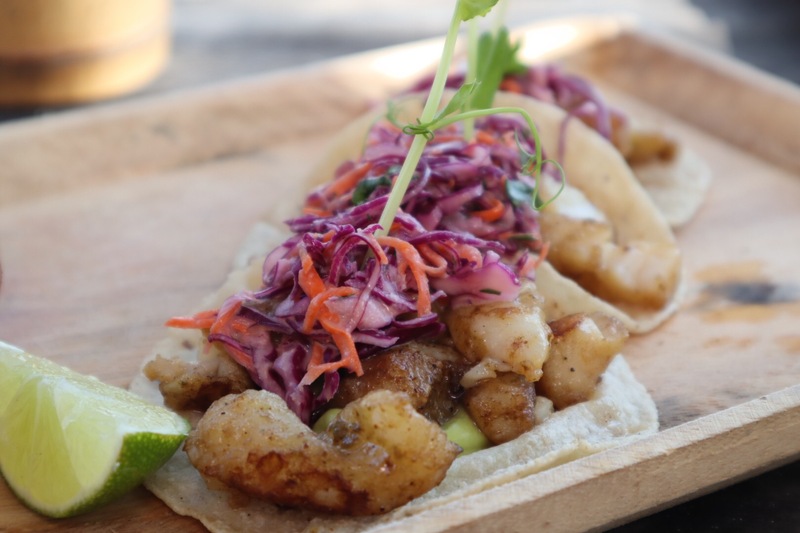 I opted for the mini-fish tacos– three portions with freshly grilled slices of fish and topped with a mix of shredded red cabbage and carrots with a garnish of bean sprouts. Lime wedges artfully displayed on a rectangular wooden tray adding an additional pop of color. 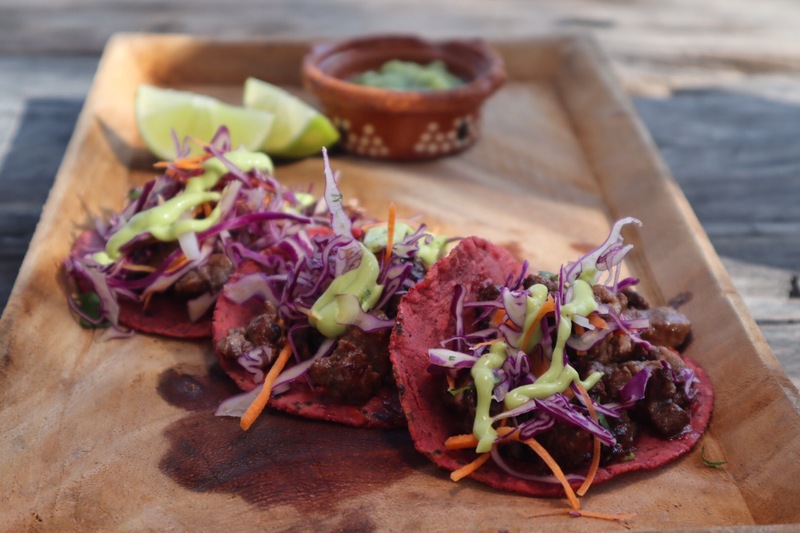 I also tried the steak tacos, filled with medium well skirt steak (“Arrachera”). They were equally tasty. 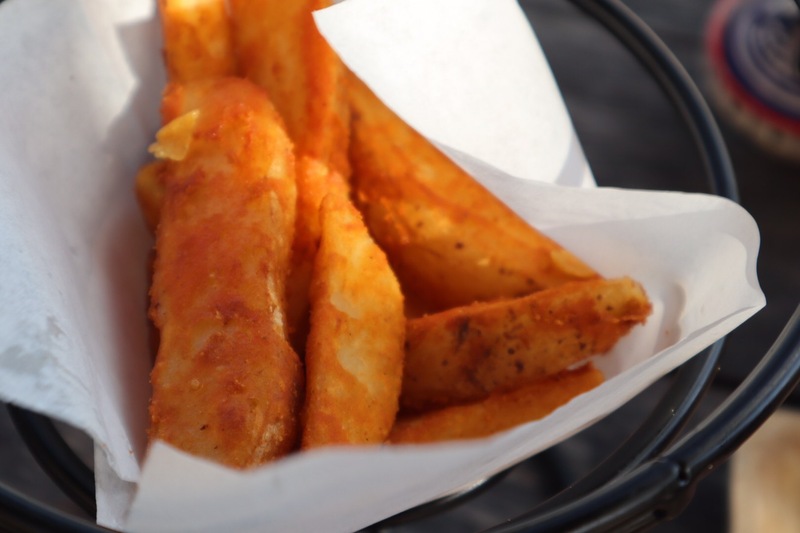 Potato wedges came perfectly golden-fried in a wrought-iron sculpted dish with a side of jalapeno and sour cream sauce. 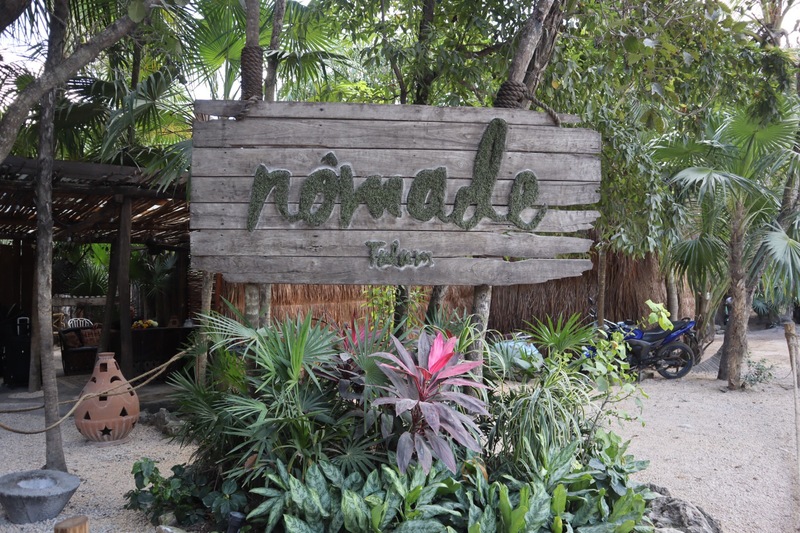 A visit to the Nomade Hotel’s La Popular definitely warrants a visit on your upcoming trip to Tulum. You won’t be disappointed, especially if you retire to the pool deck for a cocktail while taking in the beach landscape. what a beautiful spot to have a late lunch after yoga! Kudos to Mikey B for this! Thank you Garcia. 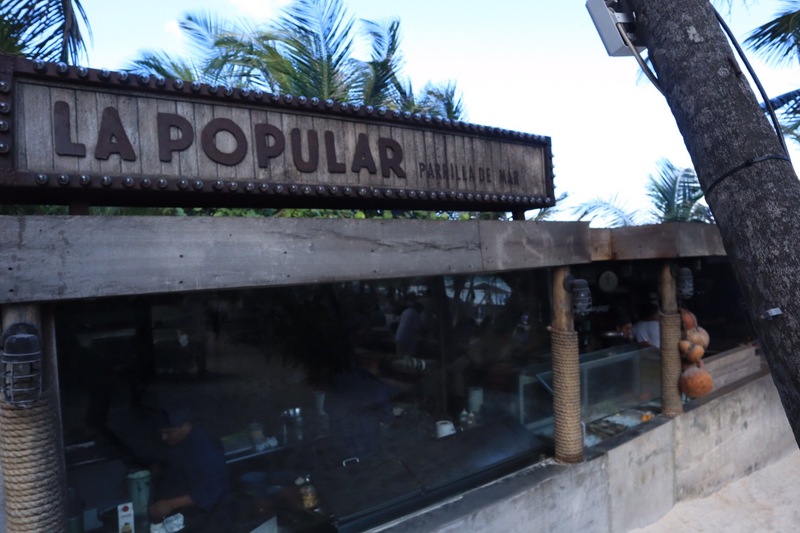 You will definitely love La Popular and The Nomade Hotel. Check it out and enjoy. Thanks for reading! ← Seamore’s Chelsea, NYC: The Lowdown!